Lead economists project modest growth in construction activity. The full, 36-page report on 2018 market activity can be ordered from Dodge Data & Analytics, 800/ 591-4462; http://analyticsstore.construction.com. “The U.S. economy next year is anticipated to see moderate job growth. Long-term interest rates may see some upward movement but not substantially. While market fundamentals for commercial real estate won’t be quite as strong as this year, funding support for construction will continue to come from state and local bond measures,” he told attendees of the 2018 Dodge Outlook Conference in Chicago. Among key segments, the 2018 Dodge forecast calls for year-over-year gains in single-family housing, 850,000 starts, up 7 percent; commercial and institutional buildings, up 2 percent and 3 percent, respectively; and, public works construction, up 3 percent. A projected 11 percent drop in multi-family housing, to 425,000 starts, against this year’s total tempers the overall 2018 residential market. 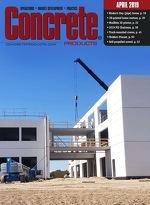 Norcross, Ga.-based ConstructConnect, the source of iSqFt, Construction Market Data, BidClerk, Construction Data plus companion information and technology solutions, cites across the board 2018 market growth potential within its Q4 2017 Forecast Quarterly Report. It combines proprietary data, macroeconomic factors and Oxford Economics econometric expertise, and indicates these higher project categories start levels for 2018 against this year’s figures: single-family residential, 8.8 percent; warehouses, 4.7 percent; nursing homes, 5.9 percent; educational facilities, 4.2 percent; roads and bridges, 5.9 percent and 10.2 percent, respectively; and, miscellaneous civil (power, oil, gas), 13.8 percent. Dodge forecasts 2018 single-family home starts rising 7 percent above this year’s level. An Associated Builders and Contractors report timed with 2018 market forecasting finds private construction interests’ value added as a percentage of the U.S. real gross domestic product rose to 4 percent in 2016, the highest level since 2009. A 3.5 percent national increase in real construction spending Markstein Advisors cites for 2016 was a slowdown from the prior year’s 4.9 percent increase. Only 18 states had a greater growth in real construction spending in 2016 compared to 2015. Demand for pavers, segmental retaining wall units, boulders and companion hardscape products is set to climb 5.6 percent annually through 2021, buoyed by growth in home building and popularity of outdoor living features. Over a five-year horizon in Freedonia Group’s new “Landscaping Products Market in the US, 5th Edition” study, pavers look to attain an annual growth rate just under 6 percent, reaching $1.4 billion in 2021 sales. Total hardscape category product shipments that year are projected at $3.5 billion. Along with residential applications, “Landscaping Products” examines commercial market prospects for conventional and permeable concrete pavers, plus outdoor lighting, planting and decorative product sales activity. The 182-page study can be ordered from Freedonia Group, 440/684-9600, www.freedoniagroup.com.